Fun House Obstacle Course Rentals | BounceGeeks.com Richmond, VA. Kids of all ages will love this Fun House Obstacle Course! Who doesn't love a carnival? 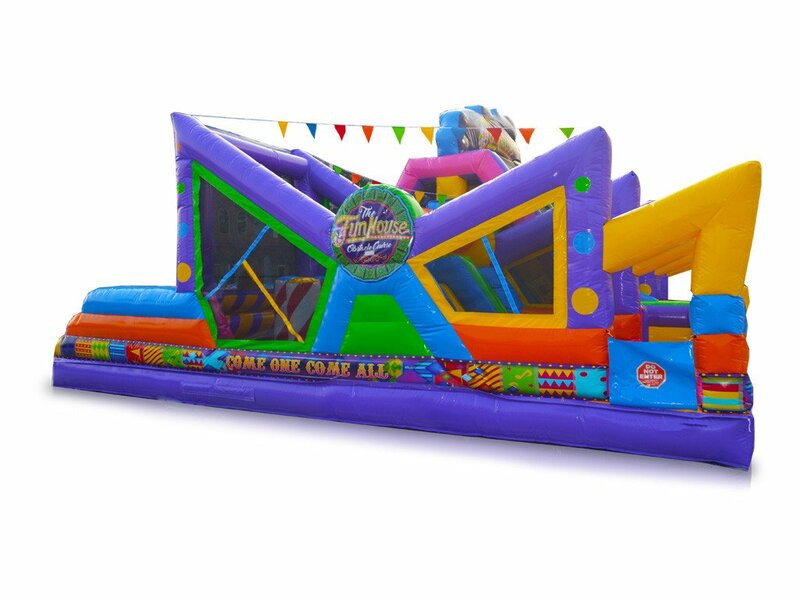 Whether you are having a large event or just a small gathering in your back yard, this awesome carnival themed obstacle course will really draw in the crowd! 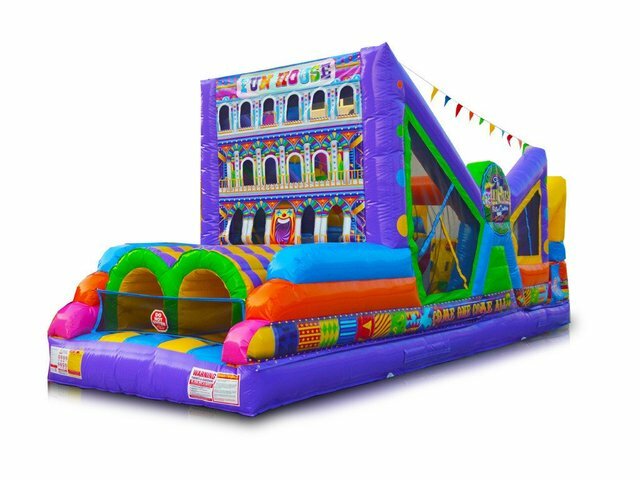 Two participants can go head to head in this 30 foot long inflatable, and it's not too challenging, so even toddlers can join in the fun! Crawling, squeezing, climbing and jumping makes for super active fun!